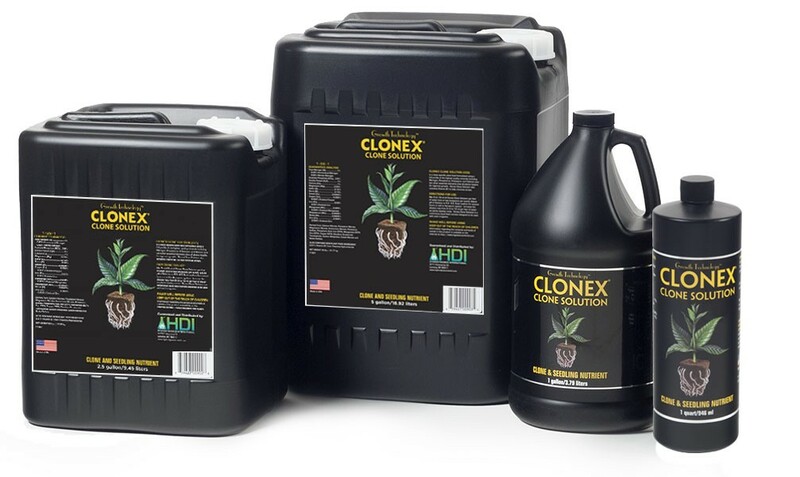 Clonex® Clone Solution is a clone specific plant nutrient formulated using a special blend of high quality minerals and vitamins that all plants require for vigorous growth. Download the Clonex Propagation Guide. It’s full of information on how to take a cutting, how and when to use Clonex and Root Riot products, plus it covers mother plants and transplanting. 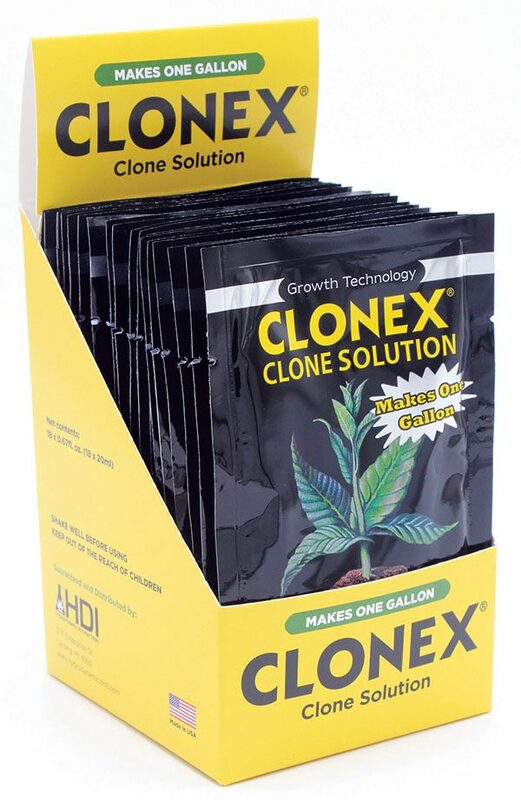 Clonex® Clone Solution is a plant nutrient specifically formulated for rooted clones and seedlings. It contains a special blend of the highest quality minerals including Nitrogen, Phosphorus, Potassium, and Calcium plus other essential elements that all plants require for vigorous growth. It also contains Vitamin B1 which reduces the risk of transplant shock. Used with Clonex® Rooting Gel or any other rooting agent, it encourages rapid root development while helping to minimize stress. Clonex® Clone Solution is the result of extensive horticultural research. It is designed to work together with Clonex Rooting Gel or other rooting agents for outstanding results. Clonex® Clone Solution is highly concentrated, unlike competing products. In addition, it contains specific micro nutrients and root enhancing agents, carefully formulated to initiate and nourish new root cells in plants. Mix 5ml – 10ml of Clonex Clone Solution per liter of water (one or two teaspoons per quart). After mixing, adjust pH to appropriate level (5.5 to 6.5). Finally, soak medium for several hours or add to Aeroponic system. Allow for adequate drainage to avoid water logging. Increase the dilution rate from 5ml to 10ml per liter of water as plants develop roots. Moisten rooting media every second day or as needed. 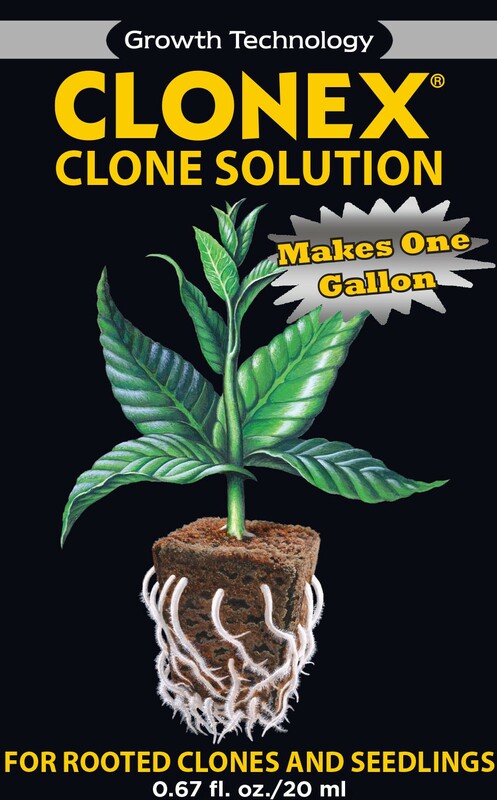 Use Clonex Clone Solution, a continuous liquid feed plant nutrient, with each irrigation.